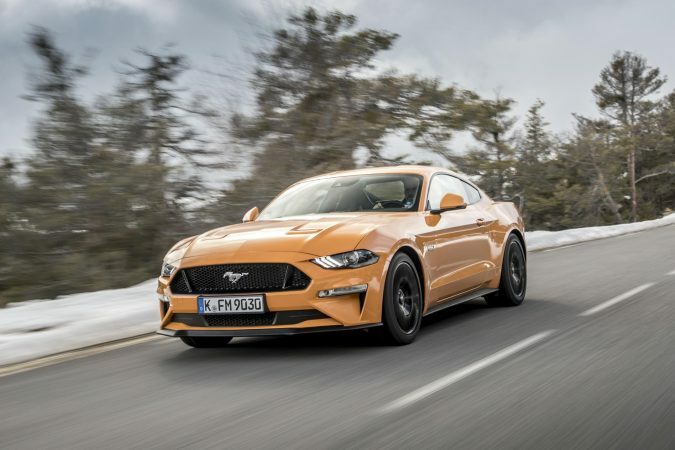 It was only a few weeks ago that Ford let slip that they would be bringing the Ford Mustang Bullitt edition to the UK later this year, but now Ford have announced the newly revamped version of the standard Mustang which Ford are saying has been uniquely tuned to suit European roads. 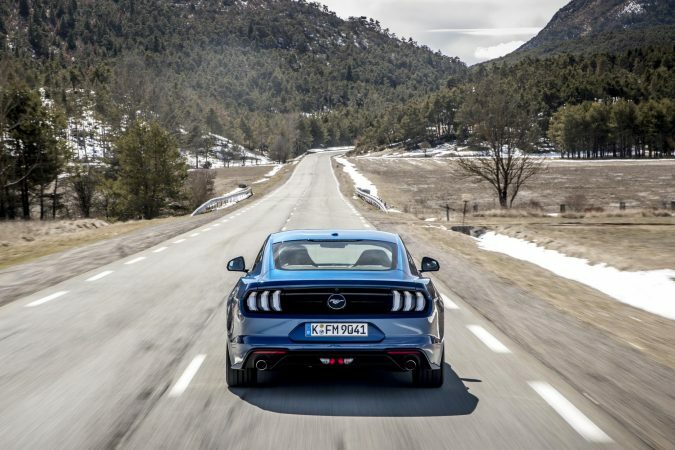 The first European Mustang came to the UK in 2015 and was a roaring success because it was wildly different from any other performance coupe currently on sale in the UK thanks to its brash American no nonsense attitude to speed and handling. 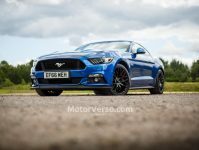 The new Mustang will attempt to continue the success of the first Mustang with a newly tuned version of the 5.0 litre V8 and 2.3 litre ecoboost engine teamed with a 10-speed automatic gearbox or a 6-speed manual box, both engines at their base are the same engines found in the 2015 Mustang but the big V8 has been enhanced for the new Ford Mustang with the newly debuting rev matching technology on the manual which enables quicker and smoother downshifts accompanied by a blip of the big V8. The new V8 goes into battle with 443BHP and 529Nm of torque whilst the more economical 2.3 litre has 286BHP and 440Nm of torque. 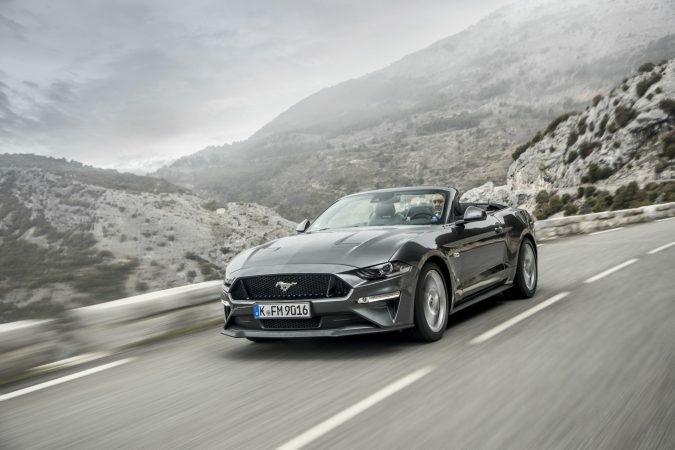 Despite the higher fuel and insurance prices in the UK the big 5.0 litre V8 has always been more successful than the ecoboost, possibly because at its heart the Mustang is a muscle car and a muscle car needs a V8. 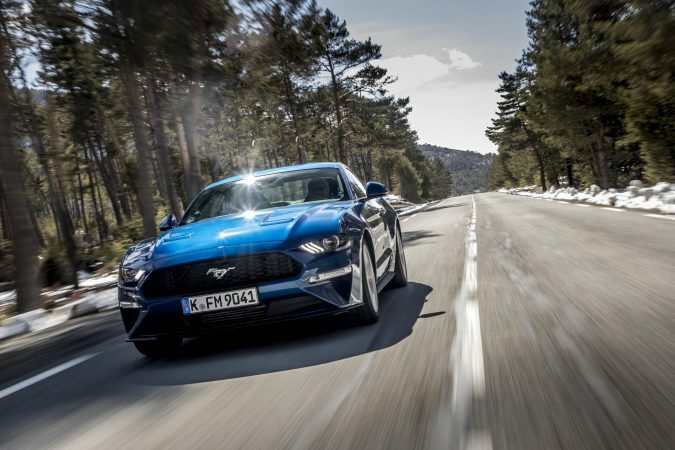 The Mustangs muscle car history however hasn’t stopped Ford trying to further the idea that the Mustang is actually a sports car, Ford has introduced an all-new suspension system for the Mustang this time round. Using a MagneRide adjustable suspension setup has allowed to tune the car specifically for European roads “Ford engineers have further optimised the Mustang’s driving dynamics to deliver the most engaging driving experience yet.” The suspension has been stiffened throughout and thicker anti-roll bars were used to control body-roll for sharper handling. 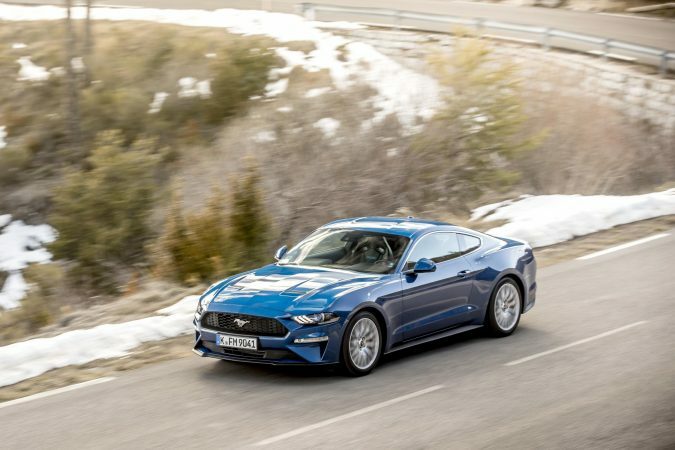 On the looks front little has changed, a little smoothing here and little more aggressive there, the Mustang is still unabashedly American but Ford have attempted to soften the Mustang to entice European buyers who are used to cars such as the BMW M4 and Mercedes SL. 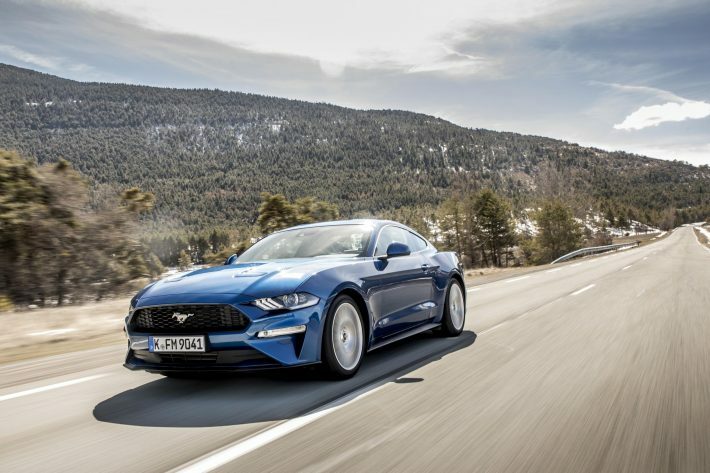 I don’t think this is necessary however the UK buyers are looking at the Mustang because its different from the norm, it is completely American and should be proud of that. 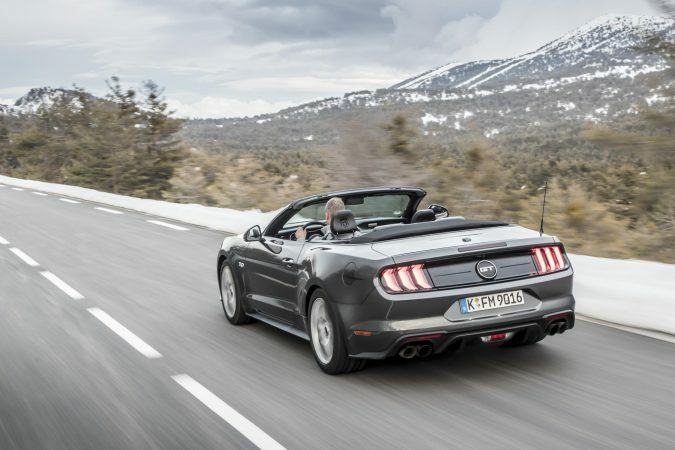 The UK doesn’t need just another European sports car, it wants something different something exciting which the Mustang is. 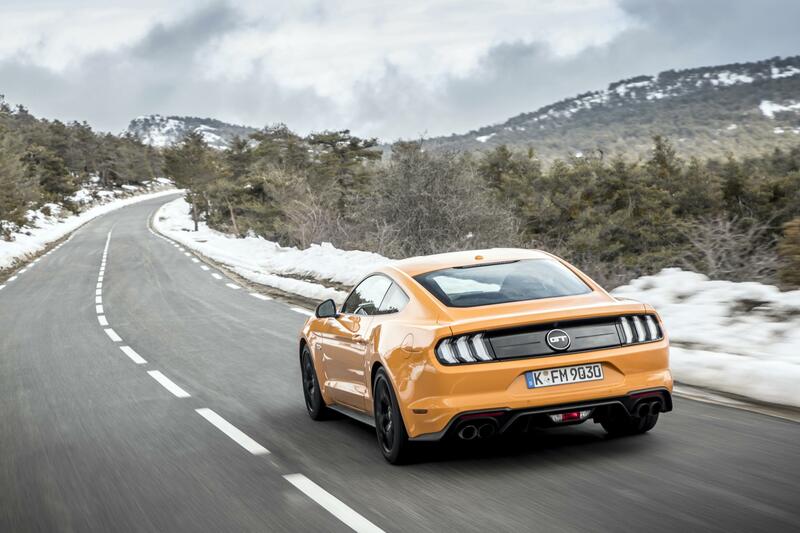 Update your desktop or iPhone with our free mustang wallpaper. 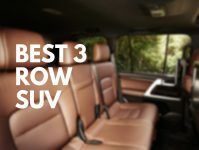 Or if you want car wallpapers for your iPhone take a look here. 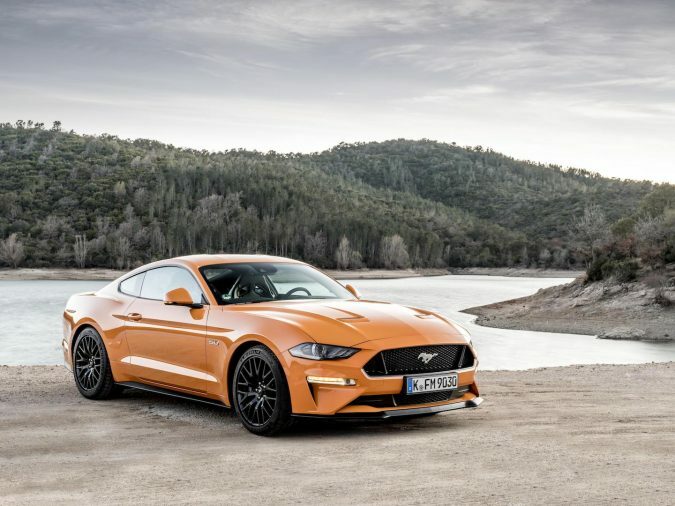 What do you think of the new Ford Mustang, let us know in the comments.